Want More Twitch Emotes? Try These Options! Twitch’s extensive catalog of emotes is one of the most recognizable things about the site. These emotes made Josh DeSeno, employee of the now-defunct Justin.tv (which became Twitch), one of the most recognizable faces in the world, since he is the model for the ubiquitous Kappa emote. You have the basic emotes, which you can find translated in our emoji-English dictionary What Does This Emoji Mean? Emoji Face Meanings Explained What Does This Emoji Mean? Emoji Face Meanings Explained Confused by the emojis in that text message you just got? Here are the commonly accepted meanings of popular emojis. Read More , and then you have the ones that you’ll only find on Twitch. One of the first things you learn on Twitch is the language of its unique emotes. Before you know it, “Pogchamp” will be shorthand for “excited,” “DansGame” will mean you’re disgusted, and the omnipresent “Kappa” face will punctuate all your dry sarcasm. With Twitch swiftly becoming a social site, the emotes go a long way towards creating a sense of community. But while Twitch’s native emotes can be more than enough for most to express themselves, it can be fun to have even more emotes. Here are a few ways you can have more Twitch emotes in your life! The most popular of Twitch channels may apply for partnership, which adds a Subscribe button to their channel. One of the benefits which partnered channels offer their paid subscribers is access to a series of emotes. If you want to know how to pay for a channel subscription, here’s a rough guide New to Twitch? A Complete Guide to Buying Subscriptions New to Twitch? A Complete Guide to Buying Subscriptions New to Twitch and not sure how the payments work? Here's a complete primer on how Twitch subs work and how you pay for them. Read More . There are tiers of emotes, and the more subscribers a channel has, the more emotes it can have. The lowest tier (0 subscribers) can have two emotes, which though partnered streamers should have more in no time. Meanwhile, highest listed on Twitch’s site (7,000 subscribers) can have up to 50 emotes. So depending on how popular the streamer in question is, you might get a very large amount of emotes for a relatively small price. FrankerFaceZ is a Twitch extension with multiple uses. The main one for our purposes is the extensive catalog of emotes that it offers. There are over 70,000 publicly-visible emotes in the FFZ library. Streamers can submit their own emotes to FFZ to add them to the library, though they have to be approved by FFZ first. FFZ has a number of other features that make it an essential extension for Twitch users. It’s available for download from the Frankerface website, and it’s available for every kind of browser available, from Chrome and Firefox to the little-known Pale Moon browser. It’s worth considering not just for the emotes, but for the special features it adds to the Twitch experience. We’ve written about BTTV Run a Better Twitch Stream With These Tools Run a Better Twitch Stream With These Tools Twitch channels rarely grow popular by accident. Far more often, fame and attention are the result of long hours, innovative ideas, and tireless dedication to making quality content. Read More before (multiple times, in fact), but for a good reason: the extension is absolutely invaluable to getting the best Twitch experience possible. 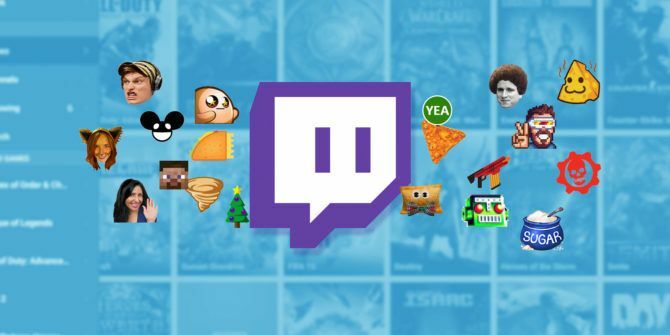 Several of its features have been incorporated into Twitch officially, and longtime users will have trouble figuring out where the native twitch features end and the BTTV features begin. BTTV has two benefits for those looking for more Twitch emotes: First, it replaces the base Twitch emote menu with a more extensive menu featuring all of the global emotes that BTTV offers, as well as all your sub emotes. Second, it also offers a make-your-own-emotes option, similar to FrankerFace. Streamers can upload five of their own emotes to their channel, for their own viewers to see and use. For submission, you just have to submit your own emotes (they all have to be approved before they go live) in PNG format. BTTV is available from the developer’s site for a number of different browsers, including Chrome, Firefox, and Safari. If you like the BTTV emotes but prefer FFZ for its enhancement options, there’s BetterTTV Emotes for FrankerFaceZ, an extension that will add all of BTTV’s global emotes as well as the channel-specific emotes, so that you can use them all! More emotes on Twitch is always a good thing, but what about Twitch emotes outside of Twitch? 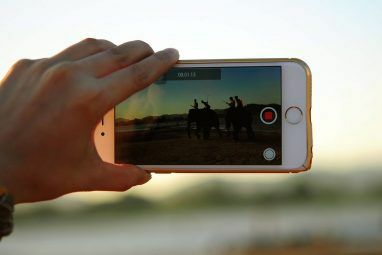 There are a number of communities built around streamers on other sites, with Reddit and Discord in particular being havens for Twitch viewers, and there are probably a number of Twitch-savvy gamers on the popular gaming forums 7 Big Gaming Forums for Non-Stop Video Game Talk 7 Big Gaming Forums for Non-Stop Video Game Talk Want to socialize with other gamers online? Look into one of these massive gaming communities that have been around for ages and show no signs of stopping any time soon. Read More . Luckily, there’s an extension for that, too. With an extension called Global Twitch Emotes installed, text that is the same as the Twitch emotes, like Kappa, will be replaced with the emotes themselves. It’s perfect for interacting with communities of your fellow Twitch streamers/viewers. Global Twitch Emotes is available as an extension for Chrome, Firefox, and Opera, and should work with all text. Since there are very few words that look quite the same as Twitch emotes, you shouldn’t have a problem with the program interfering with your ordinary online reading. It should work with the browser version of Discord. For Discord users who want to see emotes, they should try installing BetterDiscord, a program that enables all of Twitch’s native emotes, FFZ emotes, and BTTV emotes, all in one package. It also offers a number of other features for customizing Discord to your liking. As for sub emotes, the streamer themselves has to enable theirs for use with their Discord server before they can be used. If you want to use your favorite streamers emotes, tell them to get on Discord What Is Discord? The Best Free Voice Chat for Gamers Yet What Is Discord? 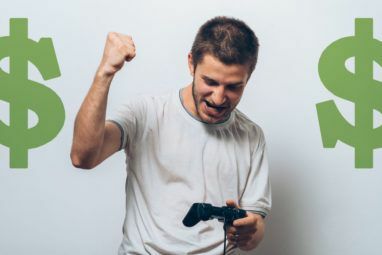 The Best Free Voice Chat for Gamers Yet Are you a gamer struggling to find a reliable voice chat app to talk to your friends? Struggle no more! Here are all the reasons Discord is the best chat client out there for gamers. Read More like everyone else! What Twitch emotes do you like best? Have you found any other way of having more emotes? Let us know in the comments below! Explore more about: Emojis, Twitch.